PHOTO: Something did explode in front of Haiti's Parliament building. What was it? 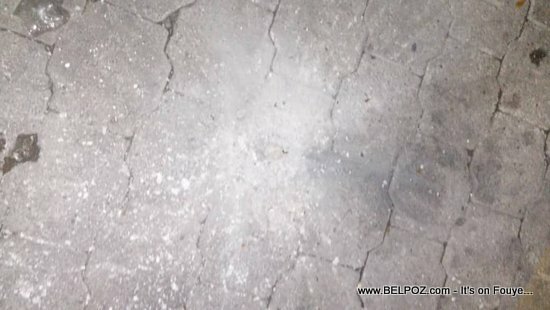 Take a look at this photo something did explode in front of the Parliament building Monday, August 20 2018, when it was attacked. You can see white powder all on the floor as it something fell on that spot and exploded.